The UAE has entered into the top 20 ranking globally in the Global Knowledge Index (GKI), while ranking first among all the Arab states. According to the results of the 2018 Global Knowledge Index, Switzerland retained its number one rank, followed by Sweden, Finland, the US and Luxembourg. The UAE, which is ranked 19th at the global level, also retains its second place globally on the economy index. It alerts and guides policymakers, business leaders, researchers and civil society to the new emerging fields, i.e. Artificial Intelligence (AI), Blockchain, Cybersecurity, Biotechnology and Future Skills that will become strategic for the future of societies. The report “puts our future in focus, be open and collaborative, and use our imagination”, as the reports state. During the session “Future of Knowledge Model”, a panel comprising Leif Edvinsson, Professor of Knowledge Capital at Lund University, Sweden; Jan Sturesson, founder of Resting – Advice from the Future; and Laurent Probst, partner at PricewaterhouseCoopers (PwC), Luxembourg, presented the conceptual framework of the future knowledge model, the factors influencing the future of knowledge, and how countries might be impacted positively, concluding that the “Future of Knowledge” as documented in the report will empower forward-thinking strategy in the growth of knowledge economy and sustainable development around the world. 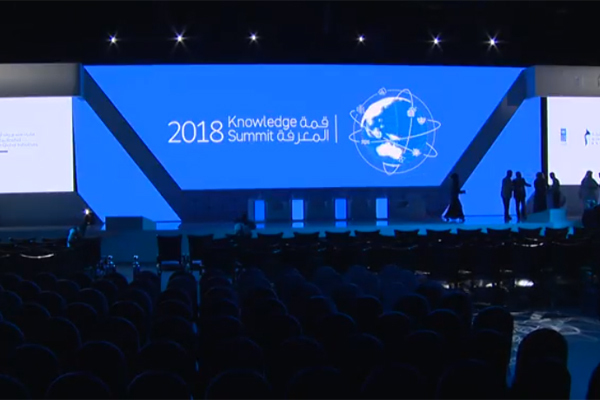 Organised by the Mohammed bin Rashid Al Maktoum Knowledge Foundation (MBRF), the fifth Knowledge Summit kicked off today (December 5) at the Dubai World Trade Centre. Held under the patronage of His Highness Sheikh Mohammed bin Rashid Al Maktoum, Vice President and Prime Minister of the UAE, Ruler of Dubai, and on the directives of MBRF chairman HH Sheikh Ahmed bin Mohammed bin Rashid Al Maktoum, the summit bears the theme: “Youth and the Future of the Knowledge Economy” and tackles the topic of the knowledge economy.